For decades the use of talcum powder has been considered safe—so safe that mothers used it to keep their babies’ bottoms dry and as a feminine hygiene product. Unfortunately, talcum powder is much more dangerous than we once thought. Numerous multi-million dollar lawsuits against Johnson & Johnson have put these risks in the spotlight. These lawsuits claims that use of the popular Johnson’s Baby Powder and Shower to Shower products to dust women’s genital areas, sanitary napkins, and tampons has caused women to develop deadly ovarian cancer. If that is not bad enough, talcum powder has other serious effects that have caused users of these products to develop health problems. What Are the Health Effects Associated With Talcum Powder? Respiratory problems in infants. Talcum powder is made up of small particles that can be inhaled and cause lung irritation. Babies can easily inhale it when it is being used on their bottoms and may become ill. Problems associated with inhalation of talcum powder include shallow and fast breathing, coughing, blue tint to the baby’s skin, diarrhea, vomiting, and convulsions. Because of the serious dangers of respiratory problems, the American Academy of Pediatrics does not recommend using baby powders containing talc on babies. General respiratory problems. When adults inhale talc, they can also develop respiratory problems, such as wheezing, coughing, and shallow breathing, or chronic lung irritation—known as talcosis. Asthma and pneumonia. Inhalation of talcum powder can cause more sensitive people to develop symptoms of asthma or pneumonia. Lung cancer and chronic respiratory problems. Workers who experience long-term exposure to talcum powder, such as miners and millers, face an increased risk of developing serious respiratory diseases and lung cancer. Endometrial cancer. At least one study has found a link between the use of talcum powder and endometrial cancer, which is a type of cancer that begins in the lining of a woman’s uterus. Menopausal women who used talcum powder at least once weekly were found to be at increased risk of developing this cancer. Ovarian cancer. Numerous studies have linked regular use of talcum powder for personal hygiene to the development of ovarian cancer—the most fatal reproductive cancer. The talcum particles travel through a woman’s reproductive system into her uterine tissue. Once there, they can cause inflammation and irritation, which leads to damage of the DNA cells and the growth of cancer cells. Although Johnson & Johnson denies that its talcum powder products are unsafe, more studies continue to point to a link between its use and serious health problems—especially ovarian cancer. As a result, over 1,200 individual lawsuits and at least two class action lawsuits have been filed against Johnson & Johnson by women who developed ovarian cancer. Two of the cases went to jury trials in 2016 and resulted in multi-million dollar awards that included punitive damages. 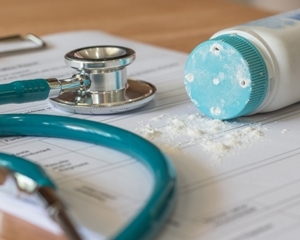 What Should You Do If You Suspect You Developed an Illness From Using Talcum Powder? Have you developed one of these illnesses after using talcum powder on a regular basis? You may have a claim against Johnson & Johnson for compensation for your medical bills, lost wages, and pain and suffering. You will need an experienced personal injury attorney if you want to successfully prove your claim as Johnson & Johnson is aggressively defending these cases. Contact us online or call our office directly at 706.863.6600 to schedule a free case evaluation to learn about your legal options.